The 'Black Box' has been recovered from the plane that crashed earlier today killing 159 people in southern India. The Air India Express plane was travelling from Dubai when it overshot the runway near the city of Mangalore and burst into flames. The Boeing 737-800, with 166 people on board including crew, appeared to have skidded-off the runway in rain at Mangalore airport in Karnataka state. Eight people were pulled alive from the wreckage. Three of them were in serious condition, while four were being treated for minor injuries and one escaped totally unscathed. A young boy died on the way to hospital. Air India said all the passengers were Indian nationals however the Department of Foreign Affairs has said the Irish Embassy in New Dehli is liasing with Indian authorities to establish if any Irish citizens were involved in the crash. 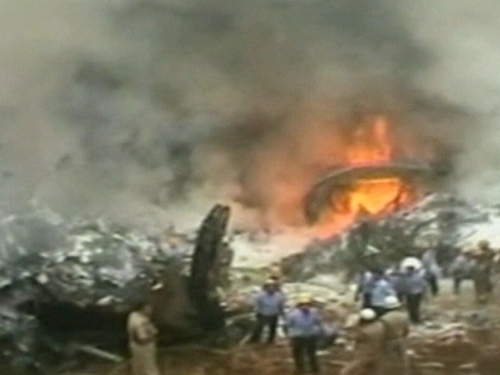 Air India director Anup Srivastava said 116 bodies have been recovered. Air India Express is the budget arm of the loss-making state-run carrier Air India, which has been fending off growing competition from private airlines. First indications are that the crash was an accident, officials say. Television channels said the plane crashed around 6.30am local time. TV images showed it struck a wooded area. Flames were seen blazing from the wreckage as rescue workers fought to bring the fire under control. It is India's first major crash in more than a decade, which has seen a boom in private carriers. A series of near misses at major airports, including Delhi and Mumbai, have sparked debate about how India's creaking infrastructure was failing to keep pace with an economic boom. The last major crash in India was in July, 2000, when an Alliance Air Boeing 737-200 crashed into a residential area during a second landing attempt in the eastern city of Patna, killing at least 50 people.